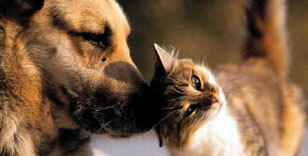 Detailed information and reviews of US pet service providers and pet supplies, accessories and products shops. Post your requirements and receive no obligation price estimates and quotes. Summer cut for a Bernese - A summer cut for a Bernese Mt. Dog with Adrienne. Thank you. Pet Shipping - Requesting a quote for having a 12 pound Cat shipped from Coram, NY to Orlando, FL. Looking for a reasonably priced Cat Groomer in Aurora, Co. - I have a long haired kitty that has a few matts in his coat. I'm looking for a good price to have them removed, groomed or shaved. Please email info. Thanks!